While accessories are constantly on the verge of new trends in women’s fashion, there’s nothing like a classic or modern ring to keep your style fresh and contemporary without overdoing it in the jewelry department. That’s right, jewelry isn’t just for women anymore and men are proclaiming their authority in the world of accessories without apology. 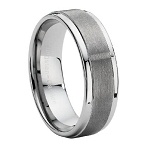 Help elevate your look by browsing our diverse selection of popular men’s rings. No matter your style, we have the rings you’ll love. 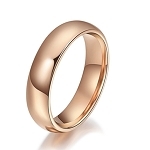 Men come in all shapes and sizes, and so should their options for rings. 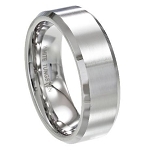 Browse our assortment of popular men’s rings. 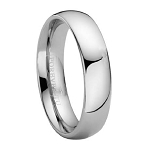 Whether you’re shopping for wedding bands or fashion rings, we have the diversity in selection you’ve been looking for. Do you prefer intricate designs? Shop from our sophisticated range of design inclusions, such as chains, Celtic imagery, shell or wood inlays, animal print patterns, diamonds, and other unconventional embellishments. 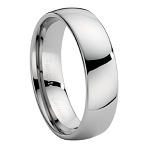 There are several trends emerging where popular men’s rings are concerned. The first we’ve noticed is the demand for metals alternative to traditional gold and silver. Shop from our wide variety of ring materials so you can find a unique option. 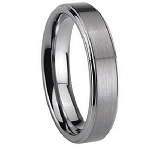 We proudly provide rings in a diverse range of metals including stainless steel, seranite, titanium, carbon fiber, cobalt chrome, palladium, tungsten and so much more! If your guy’s tastes are typically unusual, he deserves a ring that speaks volumes about his unique personality. If rings with fashionable inlays peak his interest or if he’s in tune with nature, we offer a variety of premium inlay options including Hawaiian koa or mango wood and Brazilian rosewood. 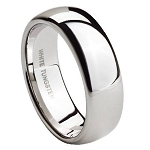 Discover popular men’s rings so you know how the world of men’s fashion and accessories is changing for the better. If you would like any help in the selection process, we’re standing by to help you every step of the way!